Living where we do it is inevitable that our weekends are filled with adventure of all kinds. 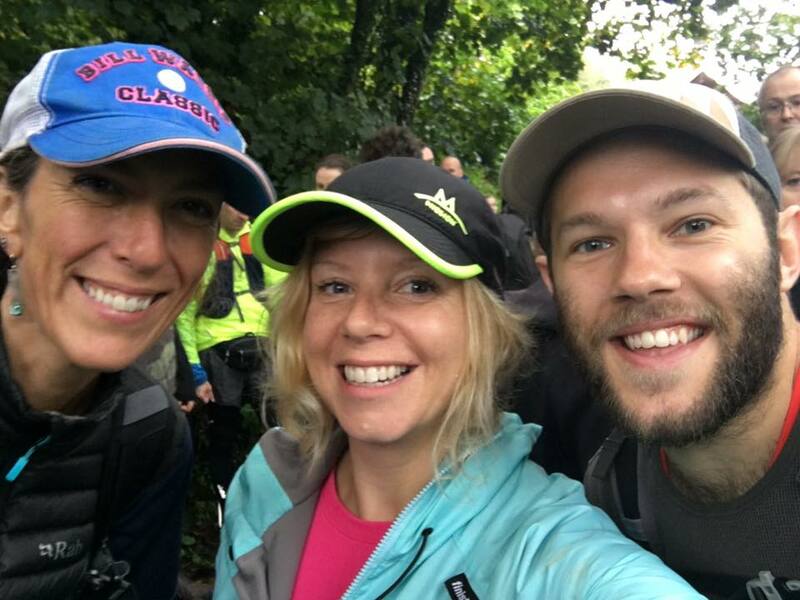 We are aiming to give you an insight into the team beyond the office walls and provide a regular weekend round-up feature, showcasing all the activities and places that we have enjoyed that Saturday and Sunday. Friday evening – Plans were afoot to return to the beery goodness that is the Verdant Brewing Co. up on the Tregoniggie industrial estate. However, bad weather halted play and the evening took a sideways step, resulting in a glorious Thai takeaway from Ploy Thai in Falmouth, if anyone is in need of a good Thai restaurant, you will be hard pressed to find a better one. Quite possibly the friendliest hostess in the whole of Falmouth. Saturday – A new day brought a kaleidoscope of activities across the team. 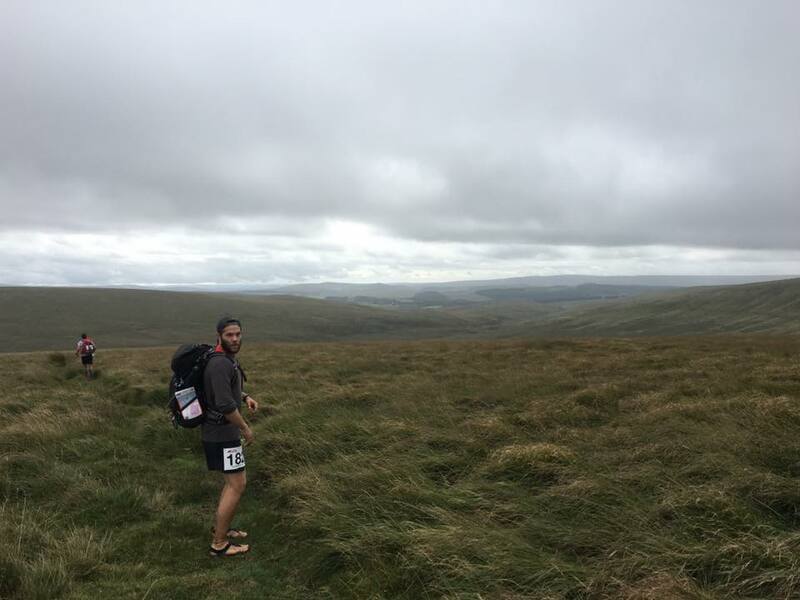 Tom was up and out at 4am for the Dartmoor-in-a-day 50k event, sandals and all. Nic was preparing for a wedding on the Roseland, the idyllic Cornish setting. Meanwhile the Peloton fleet took to the water with Mike, Emm and Jo sailing in the bay flying ahead at full steam. The evening arrived with fish and chips being enjoyed down by the river in the Trew household. Weary heads hit pillows in everything from vans, to tree houses and the back of cars journeying home. Sunday – The wind, waves and weather combined to provide Cornish gold on all fronts. Mike once again took to the water to hone his race strategy. 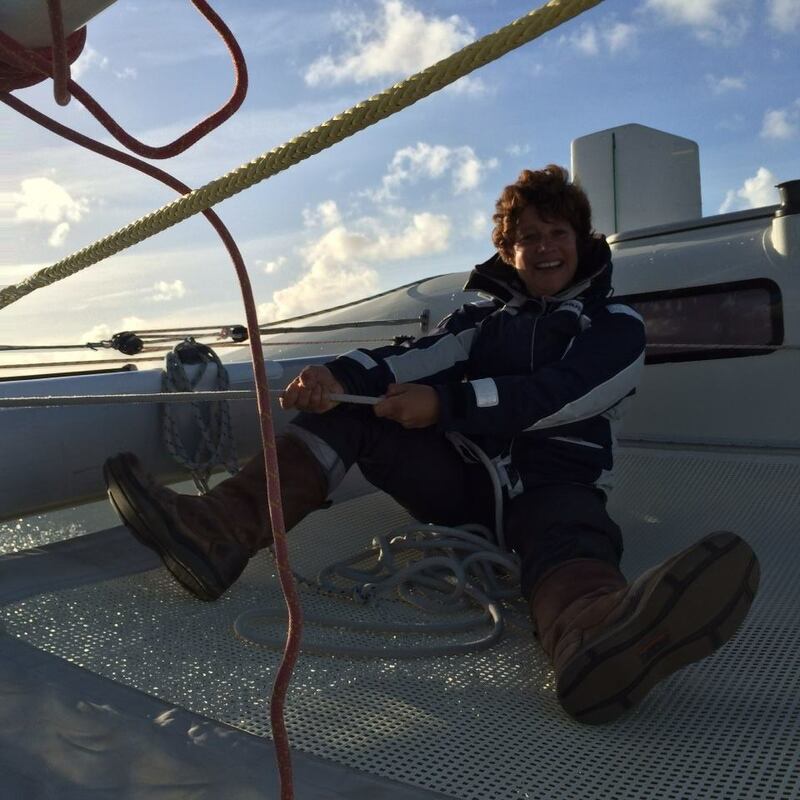 By all accounts it was the best day’s sailing for some time! With swell rolling in on the North Coast, a wave hungry crew found relative shelter at Mexicos and enjoyed 3ft clean faces, albeit with a strong offshore making for noodle arms and stinging eyes. Cath had been wandering the cliffs around Newquay with dog, embracing the wind and sun in preparation for that evenings event at Watershed. 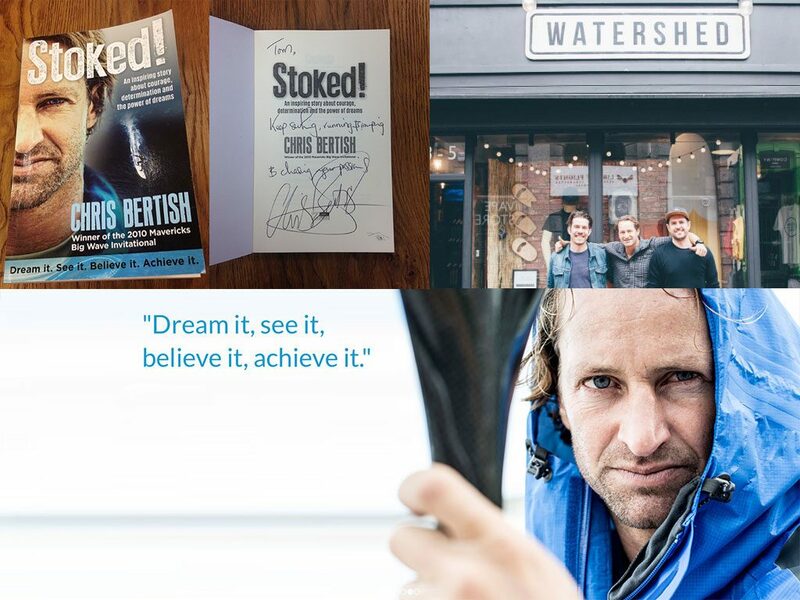 Chris Bertish, big wave hell man and all round waterman was talking about his experiences and upcoming trans-atlanctic SUP crossing at Watershed’s surf and lifestyle HQ in Newquay. Beers and tall tales of the sea made for a perfect round-up to an incredible weekend of activity for everyone. We returned to Falmouth with signed copies of his book and minds wandering to what the week would hold.